What Holistic Therapies and Practices Help with Anxiety and Depression? Recent studies suggest that about half of the people who suffer from anxiety and depression use some kind of holistic therapy to help with their symptoms. Part of the reason people might be attracted to integrative care for depression or anxiety is the holistic perspective found in most integrative approaches. This perspective takes into account the complex nature of depressive and anxiety disorders and the numerous reasons why people experience them. These practices have been an important part of traditional healing approaches for millennia (e.g. Ayurvedic, Traditional Chinese Medicine, Tibetan Medicine). In addition, hypnosis is used by conventional psychotherapists, dentists, and other health professionals. Research on yoga, stress reduction, and relaxation therapy shows positive outcomes for anxiety and depression. There is an especially large body of research showing that the practice of mindfulness can have a profound impact on mood. Mindfulness meditation has been shown to improve symptoms of anxiety and depression after just eight weeks. Mindful movement practices, such as yoga, tai chi, and qigong, may also offer relief. Given that it costs little to learn these practices and there is little risk, they are worth pursuing. In addition to evidence of effectiveness, these practices can provide a sense of control over at least one aspect of life. The uniqueness of each person’s biochemical processes is only just beginning to be appreciated. The evolving field of Functional Medicine attempts to take into account both the genetic information and the unique differences that occur in each person’s metabolism, including their extra need for certain nutrients. Current recommendations, as follows, come from a generalized understanding of human brain chemistry, without these individual considerations. Note: The best source of nutrients for the body-mind is from nutrition-dense organic foods. When taking prescription medication for depression or anxiety, basic nutritional supplementation is useful, although some supplements should NOT BE USED while taking some prescription medications. Note individual cautions. Although long-term prospective studies have not been completed, it seems beneficial to take Vitamin B complex, which is necessary for the production and regulation of neurotransmitters connected to depression. 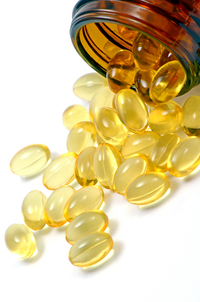 B-vitamin deficiency has been linked with mood disorders, including depression and anxiety. Elderly patients are at particular risk of B12 deficiency, and women on oral contraception or estrogen replacement are at increased risk of B6 deficiency. GABA is the neurotransmitter most responsible for calming down and overactive brain. When taken as a supplement it may have a calming effect and help with muscle relaxation, although it is not thought to be absorbed in the brain well. Some people have found taking it at bedtime helps relax the body. When taken as a supplement, Inositol (which is considered a B vitamin, though technically the body can produce it) may be helpful in reducing anxiety, panic, and OCD. Caution: Inositol is contraindicated in bipolar disorder. This mineral is known to be a relaxant and may help reduce muscle tension and anxiety and promote sleep. Data in this area is limited, but many studies have found it to be promising. Caution: The oxide and citrate forms may potentially cause loose stools. Folic acid is low in one-third of depressed adults, and depression is the most common symptom of folate deficiency. If there is a deficiency, some depression medications (i.e., SSRIs) are not as effective. This potent antioxidant acts in the brain and body and may be helpful for anxiety, depression, and addictions. It has a calming effect and may be used with medication. SAMe is a naturally occurring chemical substance intimately involved in the production, regulation, and action of many brain neurotransmitters. While some research has hinted that SAMe may be helpful in the management of depression, the National Center for Complementary and Integrative Health (NCCIH) states that the scientific evidence on SAMe is inconclusive because many of these studies were small and short-term. Caution: Because of gastrointestinal side effects, it is important to start gradually at a lower dose, and only increase gradually. It is best to use this with the guidance of a professional, especially if combined with an antidepressant. SAMe should not be used in bipolar disorders. Extracted from an African plant called Griffonia simplificolia, 5HTP is converted into serotonin in the brain. This may help calm anxiety and sooth agitation,a nd help with anxious depression. It may also be helpful for those with sleep disturbances, and some women have found it helpful for premenstrual syndrome. Caution: Should not be used with medications unless you are working with a professional, due to the danger of Serotonin Syndrome, a very serious complication. Must be acquired from food. Has been used as an aid to treat sleep problems (insomnia), anxiety, depression, and premenstrual syndrome. Found in green tea. May provide a useful support for anxiety and depression, helping to increase focus and calm. Replenishes GABA and neurotransmitters that calm the brain. May help protect the brain from some of the harmful effects of stress and may be helpful for anxiety and mood instability for some people. Convert into the more energizing neurotransmitters dopamine and norepinephrine. Found in protein-rich foods and may be helpful for people who experience a low-energy depression. May boost mood, motivation, and energy. Herb/plant that impacts several neurochemical pathways in the brain and helps relieve mild to moderate depression. St. John’s Wort has been shown in numerous studies of mild to moderate depression to be as effective as conventional antidepressants. Caution: There are potential side effects to this botanical, although the side effect rate is lower than that of prescription drugs. There are also potential herb/drug interactions, especially with blood thinners. St. John’s Wort should not be used in combination with SSRIs, and may interfere with oral contraceptives. Do not take for bipolar depression. Used as a calmative agent and tranquilizer, especially for sleep disturbances. The research in this area is small and inconsistent, so while some studies suggest benefits, there is no conclusive evidence that valerian may help with anxiety or depression. Herbal adaptogen that may be helpful for stress, anxiety, depression, or Seasonal Affective Disorder (SAD). Essential oils (aromatherapy) are safe and can be effective for anxiety and depression. Individual preferences of scent may guide self-care. The essential oils of lavender, chamomile, basil, Frankincense, are generally found to have a calming effect (for those with anxiety), while bergamot and peppermint oil are stimulating and can help those with depression. Being in nature can reduce anxiety and depression and increase pleasant feelings. Looking at a scene of natural beauty, people describe their feelings with words like calm, beauty, happiness, hope, and aliveness. Being connected to nature not only makes people feel better emotionally, it reduces blood pressure, heart rate, muscle tension, and the production of stress hormones—all signals of stress and fear. So when you are fighting anxiety or feeling down, find a park or greenspace and go for a walk or go outside and work in your garden. 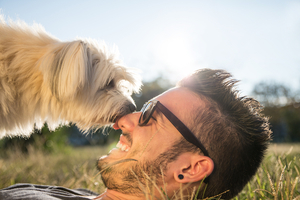 Pets may play a major role as a therapeutic intervention for people with anxiety and depression. Equine (horse) Assisted therapists have also been very helpful for people with anxiety and depression. Music therapy involves actively listening to or performing music to promote health and healing. More and larger studies are needed before recommendations are clear, but given the low cost and risks, this may be a helpful approach for those individuals who have interest in this area. Experts recommend listening to music regularly, either daily or weekly, to begin to see a reduction in depressive symptoms. 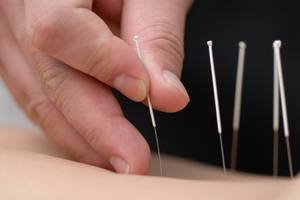 Traditional Chinese Medicine practitioners work with an individual to optimize their nutrition, activity, and internal energetic balance, using herbs, acupuncture, movement practices (qi gong and tai chi), massage (Tui Na), and other techniques. Acupuncture for mild to moderate depression has been found to be promising in early studies, although larger reviews have not come to a consensus about whether or not it is effective in relieving anxiety and depression. Naturopathy includes diet, exercise, natural botanicals and supplements, mind/body practice, hydrotherapy, and other tools. For those preferring natural approaches, treatment with a naturopath can be partnered with psychotherapy of some kind. Emmons, H. (2010). The Chemistry of Calm. New York: Touchstone. Wang, C., Chan, C., Ho, R., et al. (2014). Managing stress and anxiety through qigong exercise in healthy adults: A systematic review and meta-analysis of randomized controlled trials. BMC Complementary & Alternative Medicine; 14:8.